With Russia-South Korea bringing an end to the first games for every team in the World Cup, I figured that it’d be a good thing to take a quick jaunt through the sixteen games played and to check up on my picks for each group (if you haven’t read about those yet, go read https://sushionsports.wordpress.com/2014/06/13/the-world-cup-preview/. The rules for this pool are outlined near the top of that article so for you to understand this one fully, it might be a good idea to go to that article.). And, another advantage of writing something like this is that it allows people who haven’t been following the World Cup so far to get into it. With that, let’s get started! Outside of an own goal by Marcelo, Brazil thoroughly dominated their game against Croatia, winning 3-1, while Mexico could have beaten Cameroon 3-0 if not for a couple of bogus offsides calls by the refs, instead beating them 1-0. My picks are in very good shape. Cameroon looks to be the worst team in the group while Brazil is clearly the class of the group. It seems as though I chose correctly when I took Mexico over Croatia, as Mexico looked a lot better than Croatia did. My picks seem to be very good. Of course, it’s not gonna stay that way for long. Chile took care of business against Australia, winning 3-1, while the Netherlands utterly destroyed Spain, 5-1, in part due to the early frontrunner for goal of the tournament: Van Persie’s header. My picks here… Not exactly so great. In a vacuum, I didn’t pick well. The Netherlands are likely going to win the group, with Chile in second, Spain in third, and Australia in fourth. That means I picked badly. However, everyone picked Spain to be first. If Spain comes in third, then we all get zero points which doesn’t matter in a competition. However, everyone in the pool picked either Chile or the Netherlands to come in second. If the Netherlands comes in first and Chile comes in second, then I earn three points from getting Chile right, but the Netherlands completely wrong. If Chile wins the group and the Netherlands place second, then I get partial credit for each one, only netting me two points. In a nutshell, I’m a Netherlands fan from now until the end of the group stage. Colombia easily beat Greece three-nil, while the Ivory Coast had a come from behind victory to defeat Japan 2-1. My picks are doing quite well. Colombia showed that it’s easily the best team in this group while the Ivory Coast showed that it can defeat inferior teams but is inconsistent enough that a good team can beat them. The only part I’m not pleased with is the Greece in third, Japan in fourth picks. Japan showed that it isn’t a bad team and that it can play with some good teams, while Greece showed that they’re really bad after getting mashed by Colombia. Still, it’s not a huge problem as of now, because, assuming that Greece and Japan lose to both Colombia and Ivory Coast, their matchup will decide who gets third. Greece will probably need to either win or tie that game because their goal differential right now is -3, compared to Japan’s -1. At least I’m in good shape for now. Costa Rica upset Uruguay, 3-1, although Uruguay didn’t have its’ best player, Luis Suarez, while Italy beat England 2-1 in an exciting and competitive game. I’m not doing well at all with these picks. There’s a decent chance that I don’t get any points at all from this group. As Uruguay has a bad goal differential, it’s behind England in the standings. Its’ only hope for advancement is to run up the score on England in their next match while hoping that the game between Italy and Costa Rica isn’t a tie AND still having to win their game against Italy while hoping that the loser of Costa Rica-Italy either loses or ties, or tying against Italy while hoping that the loser of Costa Rica-Italy loses. Either way, I’m not in the best of shape. England needs the same scenario as played out above (with their opponents switched in for Uruguay’s, obviously) to advance as well. Italy and Costa Rica each need a win in their last two games in order to clinch their ticket to the knockout rounds, depending on the goal differential. France easily dispatched Honduras after a red card forced Honduras to play with ten players, while Switzerland and Ecuador were even throughout their game until a late goal by Switzerland in extra time gave them the victory. Well, I’m, at least, in pretty good shape in this group. France looks like they’ll be able to run away with the group and Honduras pretty clearly looks like the clear favorite for last place, leaving Ecuador and Switzerland fighting for the group’s second spot in the knockout rounds. Ecuador is at a severe disadvantage in that race after losing to Switzerland. For it to vault past Switzerland, it’ll need to run up the score against Honduras, while hoping France beats Switzerland. Then, assuming that they have a better goal differential than the Swiss, Ecuador just needs to match whatever Switzerland does (i.e. win-win, tie-tie, loss-loss) in order to advance. If they don’t have a better goal differential, they’ll need to have a win to a Swiss tie or loss or a tie to a Swiss loss. 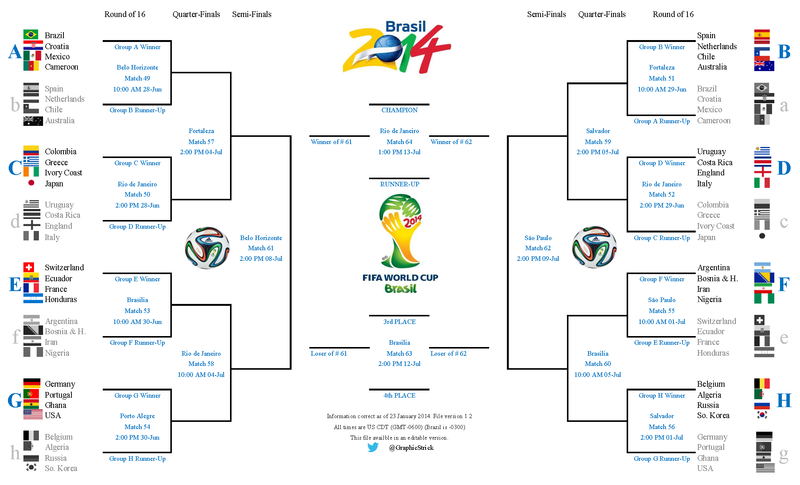 If Switzerland manages to tie, or even beat, the French, then Ecuador will have almost no chance at advancing, although if Switzerland beat France, Ecuador would play France in their last game, meaning that they would just have to beat France in order to advance alongside Switzerland. Argentina escaped against Bosnia and Herzegovina, winning 2-1, a close scrape for a team that is widely believed to be in championship contention, while Nigeria and Iran combined for a 0-0 tie, the first tie of the tournament, in the thirteenth game. Who says soccer is boring? Everything is in good shape here. Argentina should run away with the group, Bosnia and Herzegovina (wow, that’s annoying to type) should beat up on the bottom two teams, while Nigeria and Iran will duke it out for third place. For me, all I need is for the top two teams to beat up on Nigeria a little less than Iran so Nigeria will have third place over Iran on the tiebreaker of goal differential. Germany walked all over Portugal, winning 4-0, especially after Pepe received a red card, making the Portugese play with ten men. Thomas Müeller got a hat trick for Germany. America beat Ghana 2-1, in an exciting game in which Ghana dominated the flow of play for most of the game. America scored thirty seconds in before a stalemate for more than 80 minutes. Ghana scored to tie it up, but a couple of minutes later, the United States scored to take the lead 2-1 and to eventually win the game. I’m in great shape in this group. Germany, especially with its’ huge goal differential after its’ 4-0 victory, is a huge favorite to capture the number one spot. America is likely to capture second place after their win and because Pepe’s red card which will keep him out of Portugal’s next game, against the Americans, making the United States more likely to win that game too. Portugal has a horrible goal differential and it’s at a severe disadvantage against the United States (because of Pepe’s absence) so it’ll need to beat Ghana in their third game to capture third place. Luckily for me, that’s a probable outcome as Portugal is a better team than Ghana. Belgium dealt with Algeria, 2-1, while Russia let in an embarrassing goal to give South Korea a tie, 1-1. My picks here are also doing quite well. Belgium has the lead by two points and are likely to take first place. Algeria has zero points and are at a disadvantage against South Korea in the race for third place because of South Korea’s tie with Russia. The gap between Russia and South Korea is smaller than it seemed before the tournament, but there’s still enough of a gap for it to be likely for Russia to take Group H’s second berth in the knockout rounds. By the way, sorry for this being posted so late. I had finals and all the rest. Now that school’s over, hopefully I’ll have more time to write. Speaking of which, the next article out should be recapping the second game for each team. After that, there’s the NBA draft which I plan on writing a draft diary for. Then there’ll be an article recapping the third game for each team, then one previewing the knockout rounds, and then… who knows? Anyways, there should be a bunch of great games on over the next few weeks and we’ll all be watching, alongside of the rest of the world. This entry was posted in Uncategorized and tagged America, American soccer, Brazil World Cup, FIFA, FIFA World Cup, futbol, Group Stages, Soccer, Sports, United States, World Cup, World Cup Soccer on June 20, 2014 by Sushi Kaplan. An article that I’ve always wanted to write is a mailbag, in which readers send in questions, comments, or insults, and in my column, I answer them. Of course, I wasn’t able to do that *cue dramatic music* UNTIL NOW! This is a good idea, albeit one that needs some alterations and one that has been advocated for before. Runs of bad seasons are OK. Taking a dump on your fans isn’t. The former is normal in the course of rebuilding. The latter is taking it too far. Let’s tweak the idea a little bit to talk about just an individual season. A season is more than long enough to torture the fans. It shouldn’t be years before the league steps in to prevent a team from tormenting its fans. Let’s swing through the four major leagues to see if this plan is reasonable and viable. NFL- There are enough things that can go wrong in a season that, even when you’re trying to field a competitive team, you can get screwed by a big injury (think Peyton Manning with the Colts in 2011 when they went 2-14 or RGIII this past year when Washington went 3-13) or by your quarterback suddenly forgetting how to play football (think Matt Schaub with the Texans last year when they went 2-14). As this isn’t a team being purposefully bad, it’s them getting incredibly unlucky. It’s impossible to penalize a team for something outside of their control, so the idea won’t work with the NFL. NHL- I don’t know as much about the NHL as the other three sports, but there’s a big problem with determining how bad a season is: the shootout point. How can you determine exactly how badly a team screwed over their team when they can earn points for losing? MLB- MLB is a little more realistic for the idea offered up by the reader. The Astros have willfully destroyed their team over the last few seasons, opting instead to reload through the draft. While it hasn’t been pretty, they’re in good shape for 2015 and beyond with a number of good players on the way. However, in the process, the made their fans pay for horrible team after horrible team. That’s what the reader suggested teams have to pay for. However, other than them, only the Marlins (with the whole stadium and trading away star players fiasco) and Mets (says the depressed Mets fan) have really tormented their fans in the past few years, so there aren’t enough teams to make it a worthwhile proposition in MLB. NBA- However, in the NBA, there are more than enough teams to make it a good rule change. By my count, seven teams willfully lost games at some point last year (Detroit, Atlanta, Philadelphia, Utah, Boston, Los Angeles, Orlando), one team was planning on losing games but when they won them instead, ended up deciding to go for it (Phoenix), and one team tried to win games but messed up to hilarious degrees (Milwaukee). That’s a lot of teams. Should the Sixers be charging full price for their tickets this year after a 26 game losing streak caused by ravaging their team? I can’t understand how that could possibly be okay to rip off your fans like that. The problem is that sometimes, stuff happens (and it’s not stuff, but I try to keep it PG around here) and makes you lose games. Milwaukee did its best to win this year but still ended up losing the most games in the league. Should it be penalized for sucking but doing its’ best not to screw over its’ fans? I don’t know, but that’s why, to institute a plan like this, the NBA would need to make a “Don’t Screw Over Your Fans” Committee to decide whether or not a team deserves to be punished. The NBA has committees for almost everything else, so why not this too? Keeping fans interested and committed to their team seems like a worthy goal, and the only way to do that is to take money out of the owners’ pockets by making their ticket prices for the next year after their offense was committed lower. So, yes, dear reader, I think that that’s a great idea and one that the NBA should certainly consider implementing. What techniques can I use to get a leg up on the competition in my fantasy baseball league? Now, this is a good question. I’m currently in one fantasy baseball league and I use two methods for improving my team, one common, and one rare: streaming and stacking. Streaming is often used but I’ll explain it here anyways just so we’re all on the same page. Streaming when one picks up a player (generally a pitcher) for a specific matchup, before dropping them the next day, in order to add another pitcher for another matchup. This allows one to accrue certain stats such as innings pitched, wins, and strikeouts, in order to more easily win your matchup. The way I generally use streaming is by choosing one pitcher, every day, that I like. I then drop my worst pitcher (or a hitter if I have an extra one) and pick up the new pitcher. Still, I have an imaginary line that I use to help me decide who’s able to be dropped and who I should keep under all circumstances. As an example, you wouldn’t drop Clayton Kershaw to pick up Charlie Morton, would you? When you have too many good pitchers, it becomes impossible to stream, which is why, in my league, I’ve been trying to trade away good pitchers to create an extra roster spot or two for streaming. While streaming is almost always used for pitching, stacking is exclusively for hitting. Stacking is when you have a bunch of hitters from the same team on your team. On my team, I’ve been stacking the Athletics. I have John Jaso, Derek Norris, Brandon Moss, and Josh Donaldson, and I’ve been trying to trade for Coco Crisp and Yoenis Cespedes. Why is stacking a good thing to use? Well, let’s say that John Jaso scores a run. Who’s likely to have knocked him in? One of Moss, Donaldson, or Norris! See, the idea behind stacking (which is an idea I came up with by myself) is that it magnifies each individual positive occurrence that happens to a team. Back! Anyways, so I have a lot more rules and techniques that I utilize to win at fantasy baseball, but a master has to keep his best secrets. Also, most of the people in the league with me are probably reading this, and I kinda want to make sure that I keep in advantage over them so I can win. 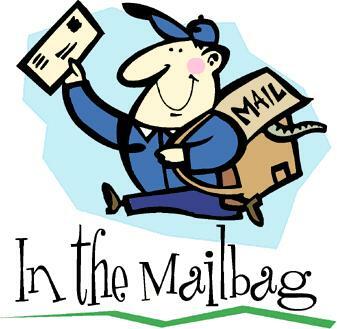 If you want to be in the next mailbag, email me at sushi.krox@gmail.com with a question. Make the subject line “SushiOnSports Question” and provide me with a name (or anonymous) and I may answer your question in the next mailbag. Hope you enjoyed! This entry was posted in Uncategorized and tagged attendance, baseball, fantasy, fantasy baseball, games, mailbag, NBA, Sports, tanking on June 19, 2014 by Sushi Kaplan.